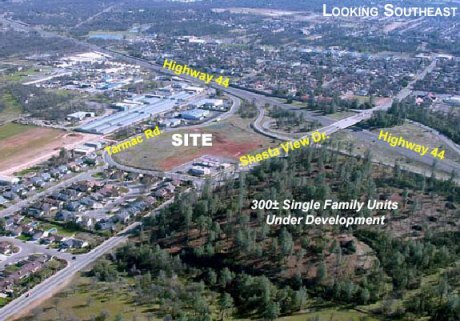 In April 2005, Lewis-Pipgras acquired 11 acres (approximately 8.7 usable acres) at the northeast intersection of Highway 44 and Shasta View Drive in Redding, CA. 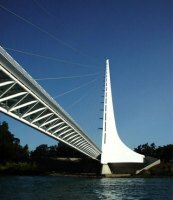 The equity partner was Granite Land Company, a subsidiary of Granite Construction Company, the 2nd largest general engineering contractor in the U.S. (NYSE symbol GVA). The original development concept was to create a mixed-use project with retail, medical/office and senior housing. While still in the early planning stages, however, Frank and his partner were approached by a major insurance company, State Compensation Insurance Fund (SCIF). SCIF was interested in purchasing a portion of the site for a new regional headquarters. After spending $100,000 in site planning and development costs (including addressing wetlands issues), Lewis-Pipgras sold the entire site to SCIF in April 2006 for a substantial profit.